Nokia just announced the new Nokia Lumia 925 with Aluminium body at Nokia Global Launch Event in London this afternoon. 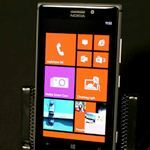 Nokia Lumia 925 specification is similar to Nokia Lumia 920 specification but comes with aluminum body, wireless charging shell. 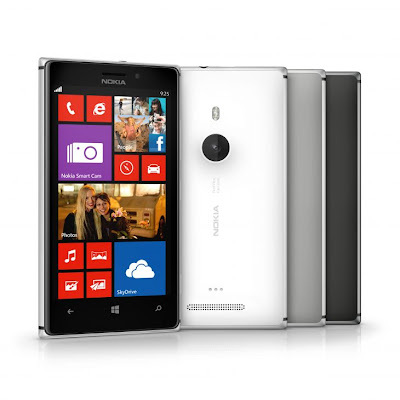 For processor, screen, RAM are same like Nokia Lumia 920 but only have 16 GB internal storage. The world’s most advanced lens technology and Nokia imaging software on the Nokia Lumia 925 delivers the best low light images. The new Nokia Smart Camera captures 10 high quality images at one click for powerful new creative possibilities, such as Best Shot, Action Shot, and Motion Focus*. Nokia Lumia 925 features a metal frame around the body for antenna functionality, appeal and robustness. Comes with the world’s only fully integrated and true offline maps experience from the HERE location suite. Offers access to a world of music available to stream or download with Nokia Music. Camera: PureView8.7 MP with Optical Image Stabilization (OIS), Autofocus, short pulse high power dual LED flash, most advanced lens technology, 1080p HD video at 30fps with OIS. Includes Nokia Smart Camera mode.